Iranian airlines to buy over 80 planes from Airbus & Boeing - IRAN This Way: Become familiar with Iranian lifestyle! Iranian airlines will buy over 80 planes from European aviation giant Airbus and its US rival Boeing. Only a day after two Iranian airlines announced deals to purchase planes from Airbus, another Iranian carrier said it has sealed a third deal to buy advanced aircraft from US plane-maker Boeing, Press TV reported. 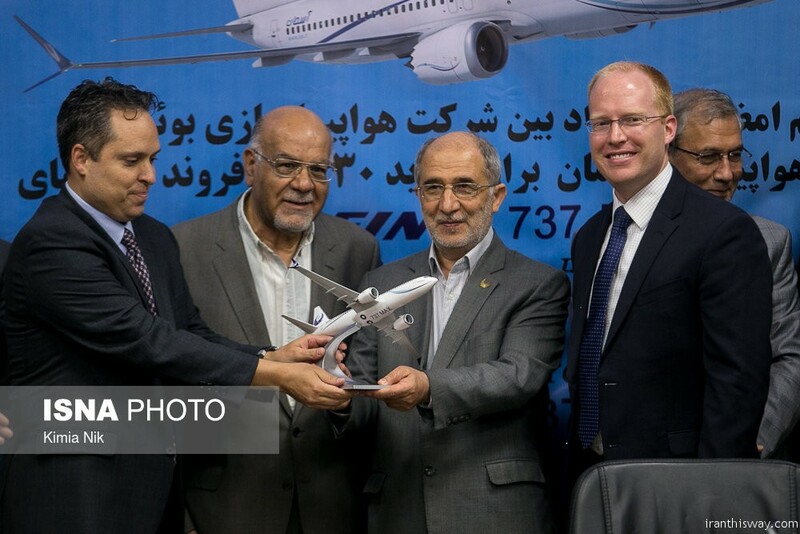 The head of Qeshm Air said on Friday that the company had placed an order for 10 Boeing 737 MAX planes. Mahmoud Shekarabi was quoted by Fars News Agency as saying that the purchase of an additional five planes from Boeing 737-800 family was also on the agenda. He added that relevant deal would be signed with the US aviation major within the next two months. The purchase, he underlined, followed months of negotiations in Mexico and Iran. The official further said Boeing would obtain the required licenses from the US Treasury Department for the sales of planes to Iran, adding that deliveries would be made after 2022. On Thursday, European aviation giant Airbus says it has signed basic agreements with two Iranian airlines on the purchase of a total of 73 planes. Also, Zagros Airlines CEO Abdolreza Mousavi told the domestic media that his company would lease the planes from Airbus. 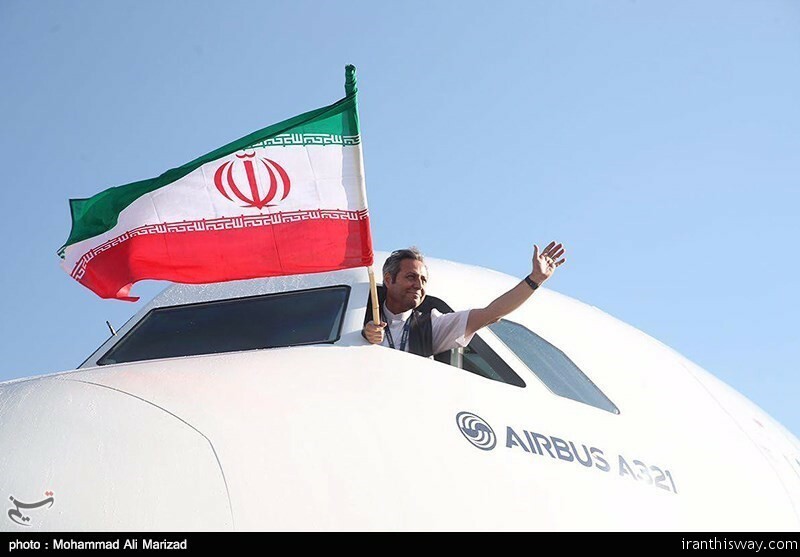 In its statement Airbus added that the agreements with Zagros Airlines and Iran Airtour were contingent upon all necessary approvals, including those from the US Treasury’s Office of Foreign Assets Control. On the same front, Reuters quoted Airbus Sales Chief John Leahy as saying that he expected the US approvals within the next couple of months. Zagros is already the largest operator of Airbus single-aisle aircraft in Iran with 11 A320ceo planes, AFP said in a report on the agreements. Like Airtour, Zagros will use the new planes to upgrade its fleet and expand operations both at home and internationally, AFP quoted Zagros chief as saying in the Airbus statement. Iran Airtour was established as a subsidiary of Iran’s national flag-carrier airline Iran Air in 1992 and privatized in 2011 but maintains a status as subsidiary of IranAir. Zagros Airlines is a private carrier. IranAir has already ordered 100 planes from Airbus, 80 from US rival Boeing and 20 ATR turboprops. Boeing has also signed a deal for 30 737 MAX jets with Iran’s Aseman Airlines, which is managed as a private company and owned by Iran’s civil service pension foundation, Reuters added. According to estimates from the Iranian civil aviation authority, the country’s airlines will need to purchase between 400 and 500 new planes over the next decade, AFP wrote in its report on the Airbus deals with Zagros Airlines and Iran Airtour.